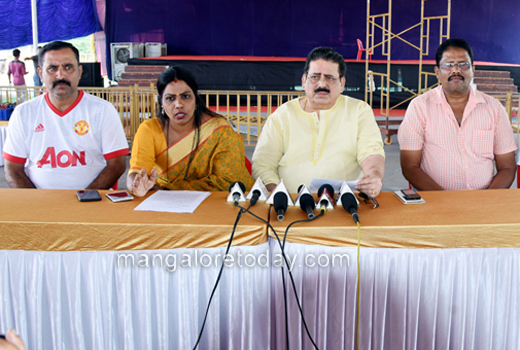 Mangaluru, Nov 03, 2017 : Over 1000 Karatekars from 12 states will be vying for the top honours at the National level Open Karate Championship to be held at Nehru Maidan on November 4, informed Mayor Kavitha Sanil. Chief Minister Siddaramaiah will be visiting the city tomorrow to inaugurate the event. Speaking to reporters here on November 3, Friday, the Mayor said a total of 108 events in different categories ranging from 20 kg to 65 kg will be held for men and women. All India Grand Karate Championship will be held on November 5, the Mayor said. Arrangements for the event are complete. International standard centre bout has been set up. There will be electronic score displays and LED lighting around championship arena. 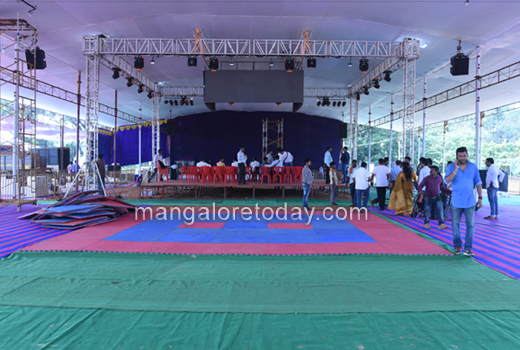 A host of dignitaries including DK District Minister Ramanatha Rai, PWD Minister HC Mahadevappa, Fisheries Minister Pramod Madhwaraj, Food and Civil Supplies Minister U T Khader, MP Nalin Kumar Kateel, MLAs J R Lobo and Moidin Bava will grace the occasion. Energy Minister D K Shivakumar will be the chief guest at the valedictory function. Chairman of Shree Devi Education Trust Sadananda Shetty and others were present at the press meet.